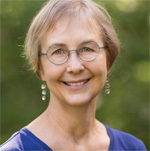 A native of Memphis, Tennessee, Dr. Jeanne Cook has practiced family medicine for over 25 years. After graduating from Rhodes College in Memphis with a BA in biology, she lived in southern Mexico and then in the Texas Panhandle. In both places, she studied and practiced organic gardening, which inspired her deep interest in the relationship between food, nutrition, and health. She earned her MD degree from the University of Texas Southwestern Medical School in Dallas in 1986, and completed a residency in family medicine at Brackenridge Hospital in Austin, TX, in 1989. Early in her career as a physician, Dr. Cook, who speaks Spanish, worked in community health centers in the Rio Grande Valley and in Austin. In both places, many of the patients she took care of suffered from complex chronic diseases. During those years, she grew frustrated as she watched her patients’ conditions worsen despite use of the latest medications. In my early years as a physician, I came to see clearly that our current healthcare system, while successfully treating acute conditions such as infection or injury, does not adequately address chronic disease. Despite an ever expanding number of medications being developed to treat chronic diseases such as diabetes, hypertension, heart disease, Alzheimer’s disease, or various forms of mental illness, few of those medications cure the disease they are meant to treat. Over the years I read many articles in medical journals about the benefits of healthy lifestyle behaviors such as diet, sleep, and exercise along with medication in the treatment of almost any chronic illness. Groups of people who make healthy lifestyle changes along with taking medication tend to have a slower decline and fewer complications of their disease. Period. Despite being armed with a deep commitment to add discussions about lifestyle issues to my care of my patients, I found that there was simply not enough time. Over the years I’ve come to understand that many physicians are as frustrated about this as I was. They, like I, had gone into medicine wanting to make a real difference in their patients’ health. In 2009, I heard about an approach to health care called functional medicine. I learned that its leaders had developed a structured research and biology-based model for caring for people with chronic illnesses and symptoms which focused on the patient’s individual needs. And, it included a strong emphasis on addressing lifestyle behaviors as a part of the treatment for each patient. That year, I attended the Institute for Functional Medicine’s foundational conference, Applying Functional Medicine in Clinical Practice, and, since then, I have attended many other excellent conferences through IFM. In 2014, I became a Functional Medicine Certified Practitioner through the where can i buy viagra in hull orlistat mg xenical Institute for Functional Medicine. On a more personal note, Dr. Cook has experienced health issues of her own that she is addressing successfully using functional medicine. This has allowed her to experience the functional medicine approach from a patient’s point of view as well as to gain a deeper understanding of her own health issues. In addition to the necessary medical treatments, Dr. Cook has embraced many of the lifestyle recommendations at the core of functional medicine: eating a healthy diet, making eight hours of good quality sleep a priority, exercising regularly, and maintaining a consistent meditation practice. The positive effects of these changes have made a world of difference in her life and health. Dr. Cook is married and the mother of a wonderful adult son. She enjoys cooking, organic gardening, spending time in nature, reading, yoga, meditation, playing piano, listening to live music, and appreciating art of all kinds.